MEET THE TEAM That Makes EHS Work! Gregory E. Nordholm, President, P.E. Greg is a graduate of the University of Michigan with a degree in Naval Architecture and Marine Engineering. He earned his Professional Engineers license in a Naval Architecture firm that specialized in barges, tugs, and heavy lift projects. He has been Vice President and Chief Engineer in two marine related firms. During his twenty-year career he has been in the forefront of innovative developments in the heavy lift field. He is also the responsible engineer for all operation. He is often the engineer in the field on major projects. Ralph is a graduate of the University of Michigan with a degree in Naval Architecture and Marine Engineering. He has 20 years experience in marine operations and holds a U.S. Coast Guard Master's License. He is responsible for project management of field operations, contract management, and safety. Aung Kyaw Oo is a graduate of Yangon Institute of Technology with a Bachelors in Engineering and from the National University of Singapore with a Masters of Science in Mechanical Engineering. He has been working in the industry for more than 15 years. Aung Kyaw Oo is recognized in Asia and in the United States as an authority on mechanical engineering solutions. Don is a graduate of Everett Community College. He is a heavy lift specialist, certified welder, and airframe and power plant mechanic. 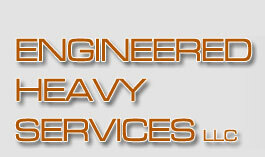 He has been a heavy lift and transport superintendent for over 15 years. He travels with the job to the field as our Project Superintendent and Hydraulic Specialist. He is particularly effective when working with local labor to train them and to coordinate their efforts during operations. All material contained on this site ©2010 ENGINEERED HEAVY SERVICES, 425-259-0213, Everett, WA. This site designed and maintained by J-Darling. Please EMAIL us with any questions, comments or sugestions you might have for this website.